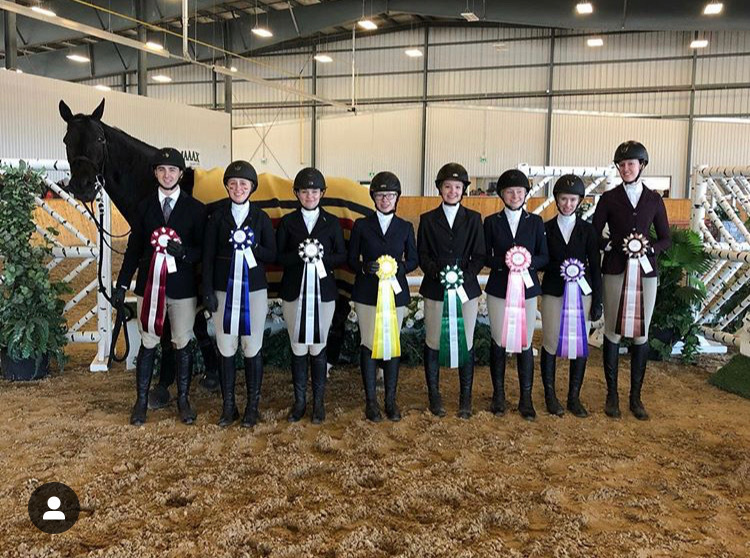 This past weekend marked the end of the 2018-2019 University of Guelph Hunter-Jumper Team and Club lesson season. 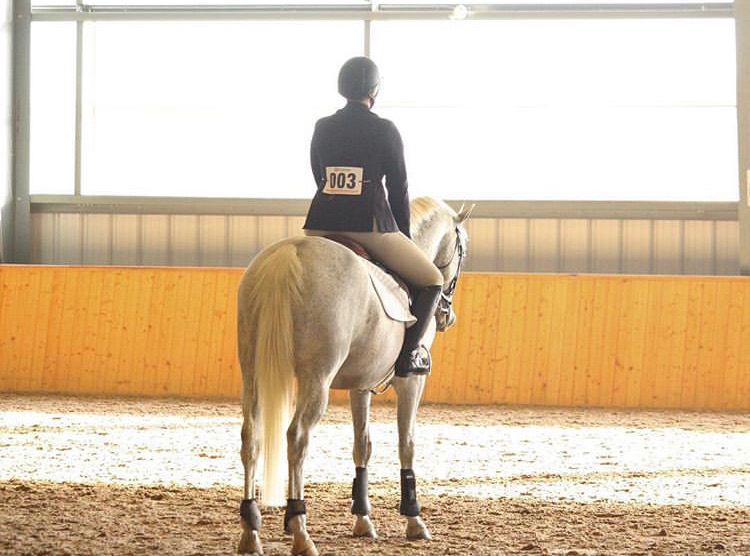 The team finished off their successful season with a great finals run on March 23rd at the Caledon Equestrian Center. 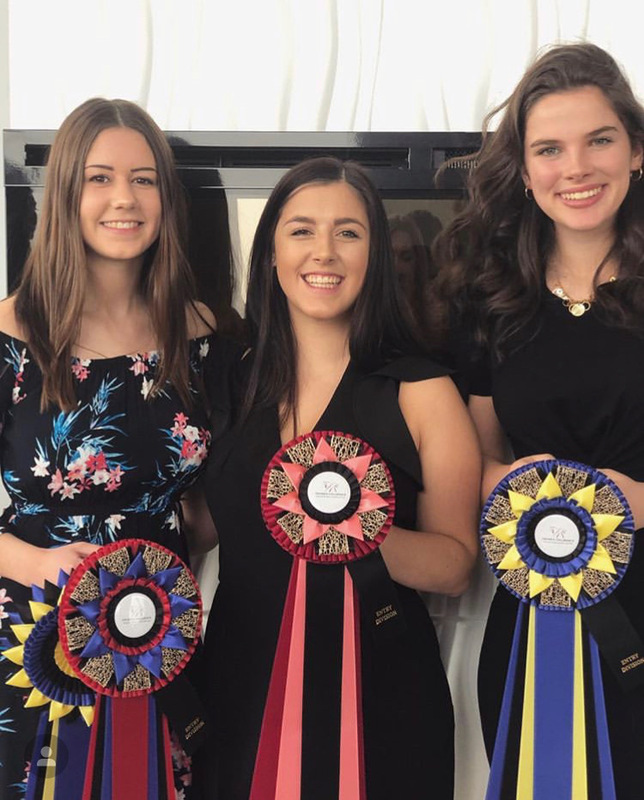 Highlights include Megan Paddock’s 2nd place finish in the Intermediate over fences and Sarah Enright’s 2nd place finish in the Novice over fences. 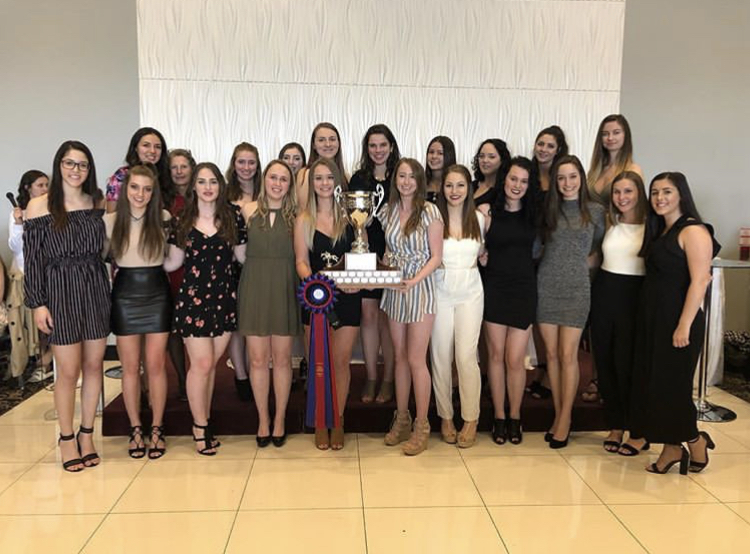 The team ended the season as the high point team across Ontario at Sundays year end awards banquet. 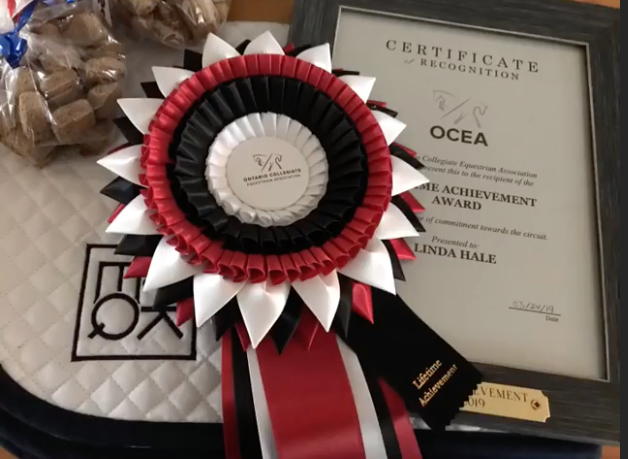 Linda was awarded the 2019 Lifetime Achievement Award by the OCEA for her longterm commitment to the organization and to the University of Guelph Team. 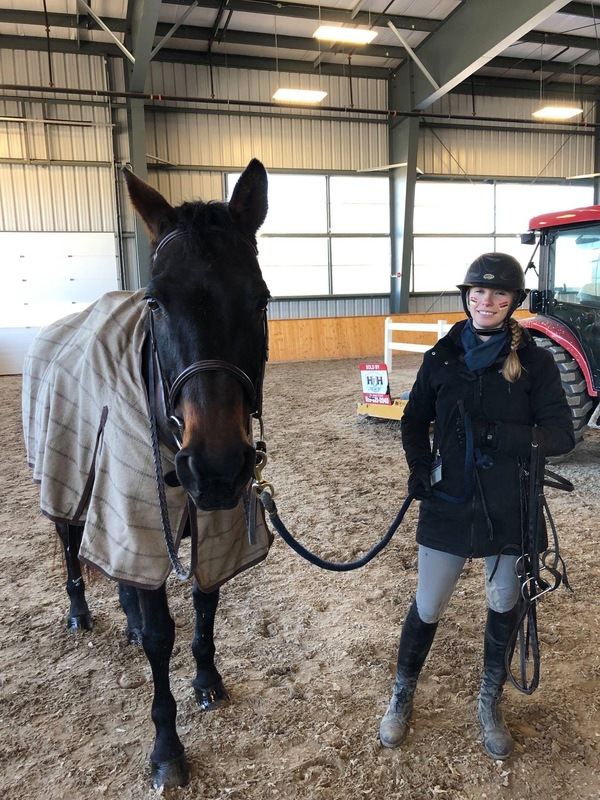 Linda’s involvement with the University of Guelph Equestrian Club dates back to its origins in the 1990’s where she acted as coach for the Club lessons and later as the IHSA team coach, regularly travelling with the team to the US to compete before the Ontario Circuit came into existence. Four OOF horses – Harry (owned by Cathy Wessels), Cricket, Glassgo and Darcy – were donated to the finals competition, and all were excellent. As always, it has been an honour to be part of such a great organization for another year. We would like to thank the team and club riders for a great season. We look forward to seeing many of you again in September and we wish the best of luck to those graduating this year! Congratulations on a wonderful year. Although I’ve never boarded a horse at OOF or been a student at the University of Guelph you will always have a piece of my heart. 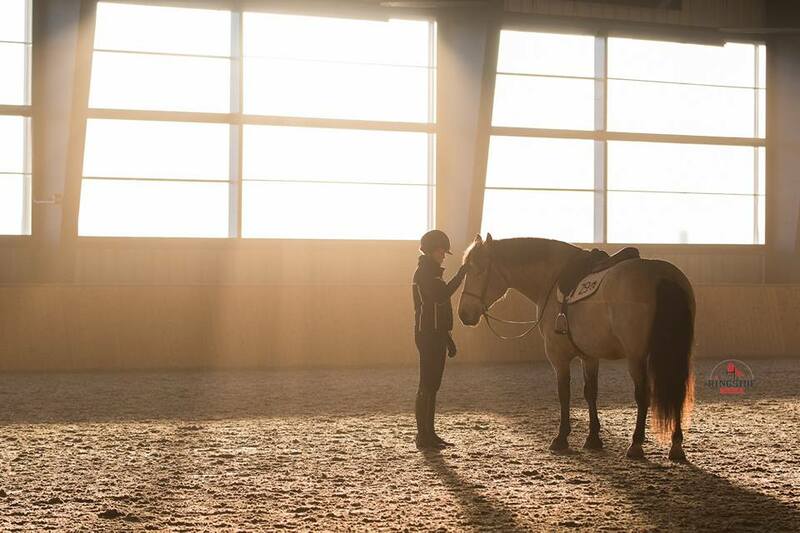 Everyone that I have met have been pleasant and passionate in their love of horses and their support of each other. Congratulations again on a wonderful year.